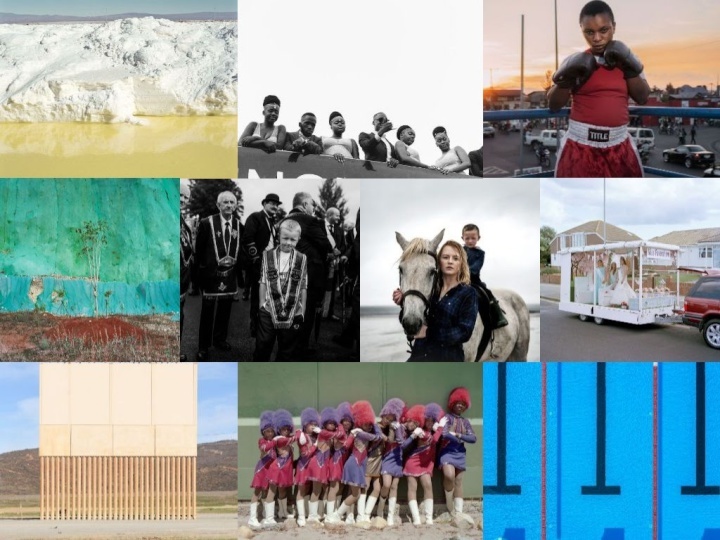 March 26, 2019: Showcasing exceptional series by the best artists working worldwide in photography, the World Photography Organisation today reveals the shortlisted photographers for the Professional competition of the 2019 Sony World Photography Awards. Today’s shortlisted artists offer their interpretations of the modern world in all its forms. Many tackle political issues: Daniel Ochoa de Olza’s (Spain) architectural images bring to light border wall prototypes currently in place in San Diego near the Mexico / US border, whereas Toby Binder’s (Germany) photo essay depicts the ubiquity of problems afflicting youth in Belfast, Ireland and the impact Brexit may have on the 1998 Peace Agreement. The beauty of the natural world and man’s effect upon it can be seen in Kieran Dodds’ (UK) aerial imagery of Ethiopia, highlighting the 95% loss of its native forests, and in the work of Leah Schretenthaler (USA), who uses traditional film and silver gelatin to shoot and print images of controversial infrastructure projects in Hawaii, which she then lasered out leaving scar-like blank spaces on the photographs. Insights into lives and places that might otherwise be unknown are also shared: Alice Mann (South Africa) shows the unique and aspirational subculture surrounding all-female teams of drum majorettes, while Kohei Ueno(Japan) takes the viewer to the underwater world of competitive freediving and stunning portraits of the female boxers of Goma, Democratic Republic of Congo are offered by Alessandro Grassani(Italy). The success of those shortlisted is notable as the 2019 Professional competition received its highest number of entries to date, with submissions by artists from 161 countries as far afield as Gabon, Paraguay, and Cote D’Ivoire. This internationality is continued in the shortlist, with both emerging and established photographers recognised from 30 countries including Nevis, Finland, Japan, Colombia andIran. All Professional shortlisted photographers will now go on to compete to become category winners, with the chance to be selected as Photographer of the Year winning $25,000 (USD). Second and third placings in each category will also be awarded on April 17 and their work will be shown at the 2019 Sony World Photography Awards Exhibition in London, before touring globally. The Student shortlist features bodies of work by ten students at leading higher education institutions from across the world. Responding to the theme of “Evolution” for their first series, and “Belong” for their second series, shortlisted photographers come from a range of countries including Bangladesh, Malaysia, Spain, Argentina and Canada. In London, the ten students will take part in an intimate talk withOutstanding Contribution to Photography recipient Nadav Kander and a portfolio review with 2019 Student competition judge Jason Baron (Creative Director of Photography, BBC Creative) and the World Photography Organisation. As well as providing various networking opportunities for the students and their tutors, each student will also be considered for the 2019 Student Sony Grant. Produced by the World Photography Organisation, the internationally acclaimed Sony World Photography Awards are one of the most important fixtures on the global photographic calendar. The Awards are now in their 12th year of partnership with headline sponsor Sony and consist of four competitions in total:Professional (for a body of works), Open (for a single image), Student (for academic institutions) andYouth (for 12-19-year olds). In London, the ten students will take part in an intimate talk with Outstanding Contribution to Photographyrecipient Nadav Kander and a portfolio review with 2019 Student competition judge Jason Baron(Creative Director of Photography, BBC Creative) and the World Photography Organisation. As well as providing various networking opportunities for the students and their tutors, each student will also be considered for the 2019 Student Sony Grant. This year’s Professional judging was chaired by Mike Trow (Editor, Photographer, Consultant, UK),who comments: "The work in this year’s Professional shortlist provoked a lot of debate and interest amongst the jury, with interesting conceptual work and juxtapositioning of images to make new narratives, seen alongside more traditional storytelling. It is in some ways a more challenging and contentious year than ever before - which is a great thing, and important for pushing the boundaries of photography and to challenge the perceptions and expectations of the audience." The Awards’ overall winners will be announced at a ceremony in London on April 17. The Photographer of the Year, Open Photographer of the Year, Youth Photographer of the Year, the Professional competitions’ category winners and the ten shortlisted Student entrants will all be flown to London to attend. Winners will also receive the latest Sony digital imaging equipment and will be included in the 2019 Awards' book. Find more from Sony World Photography Awards on InfoPages.